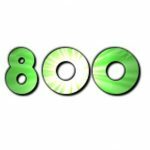 Tranen has recently secured our 800th project. Having been in operation for 16 years, that’s an average of 50 new projects per year. We are very proud of this achievement, and our team who ensure we execute them all to the highest of standards. Thank you to our clients, suppliers, subcontractors, and past employees – you have also all played a vital part.